Why Verbal Reasoning? There are 164 grammar schools in England; 160 of them set Verbal Reasoning tests as part of their selection process. 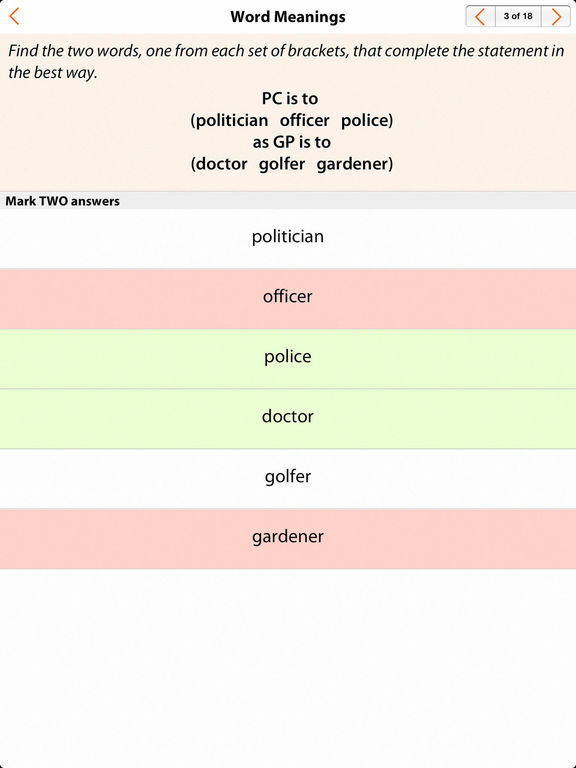 Most independent schools also set Verbal Reasoning tests based on the 11+ format. The most common tests are administered by GL Assessment, they use questions created by NFER. There are 21 question types that contain variances and difficulty levels. 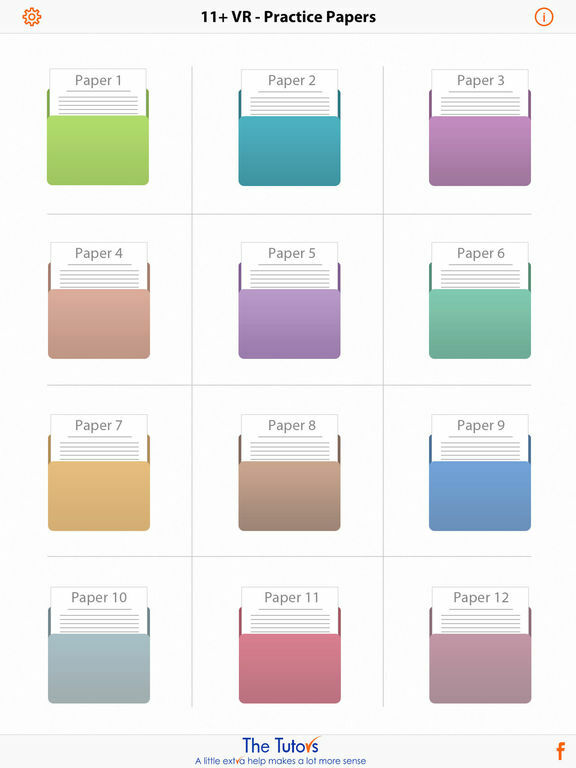 Most test papers contain 80 questions with a selection of 13 question types from the 21. 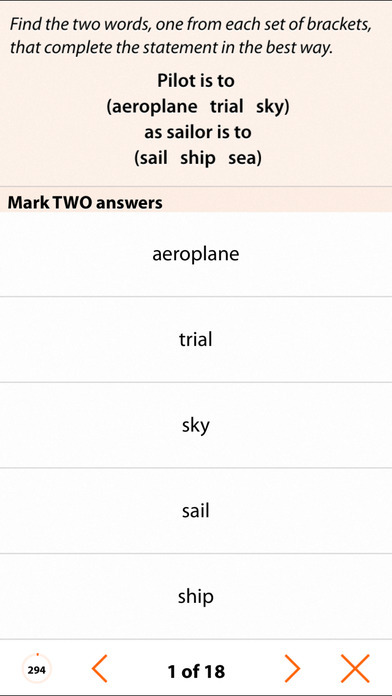 What do you need from a Verbal Reasoning App? 1.All 21 question types must be included. 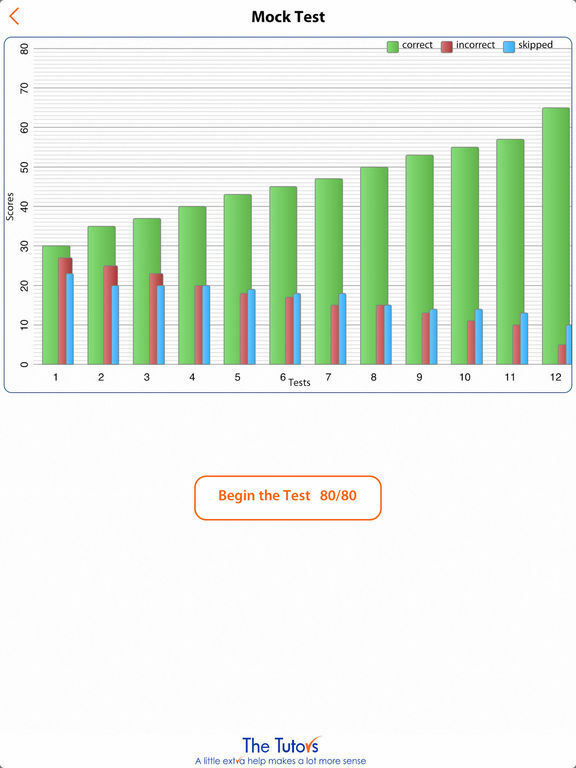 2.The questions must be close to the format of the real tests. 3.The App must be user friendly. 4.The App must give you feedback on performance. 5.There must be a sufficient number of questions. 6.There must be access to printable resources. 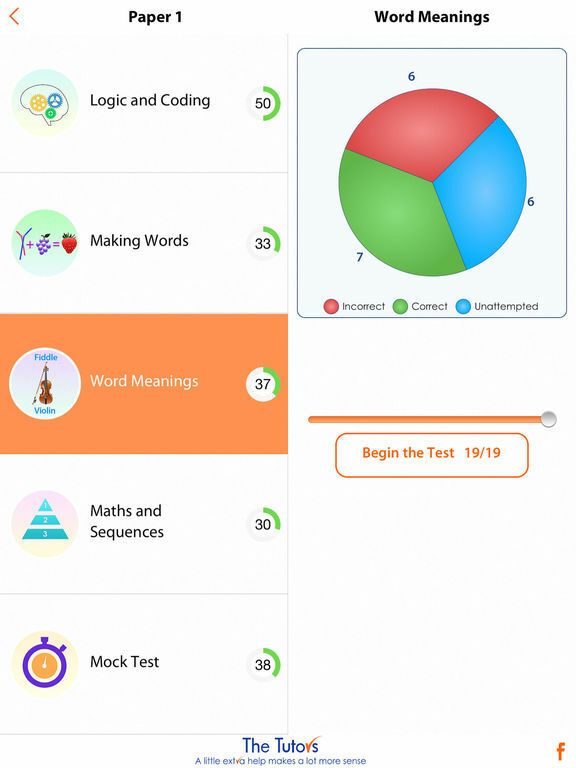 The Tutors 11+ Verbal Reasoning App gives you all of the above. We believe that you should get what you need, so we provide you with 960 unique questions in a single App. 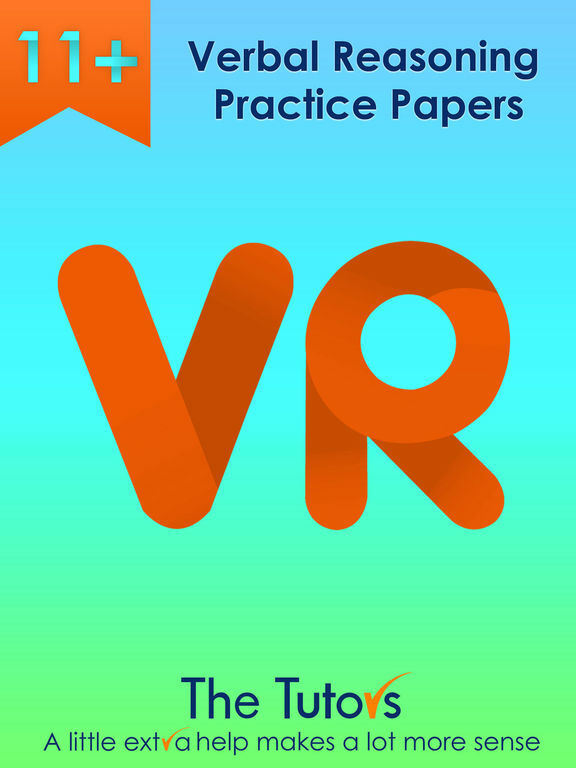 The Tutors have over 15 years experience preparing children for 11+ tests and have created the most comprehensive range of resources for Verbal Reasoning in the form of published papers, e-papers and interactive CD/downloads. Over 8 million questions have been purchased by schools, tuition centres and parents. The Tutors resources are recognised as being of the highest quality; when you use The Tutors products you have the peace of mind that you are working with the best material available from a single author.